You are so amazing! WOW! You are so kind. Thank you so much, Stacie. 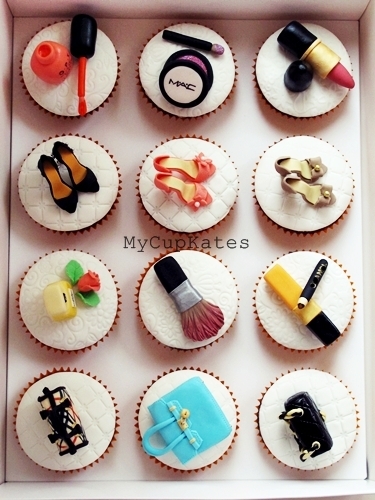 These cupcakes are incredible!!! Did you make them all by freehand? We were so happy with these fabulous cupcakes. Even the men at work couldn't believe how talented kate is. Thank you Kate, Kimberly was thrilled. Thank you so much,Fay. First,I have to say that you are an amazing mum. I should thank you guys because you've given me a chance to be a part of Kim's birthday. I saw her blog 'The plastic diaries' and she is so talented at what she does. You must be so proud..I should stop by her blog to get beauty tips from now on for sure! Thank you. Best wishes. 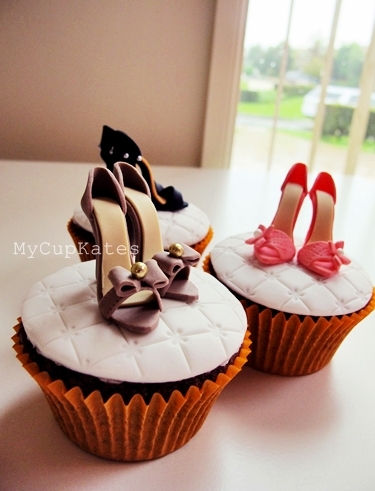 Are the shoes, purses and such edible? thank you so much for your lovely comment,Maria. I visited your blog and love your posts.. They all make me hungry!! Hi- I am sorry to report that an account on Instagram is using your image. @creativefoods They do not give you credit, they do no indicate to their 181K readers that they didnt make the cupcakes. They let everyone believe the picture belongs to them. If you are able, I would consider reporting the account. Sorry! 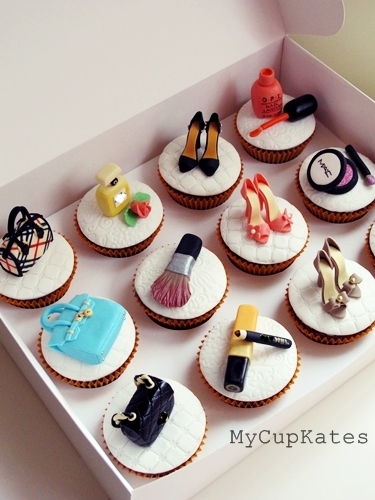 An image of your makeup, perfume and bags cupcakes was shared with me on Facebook by my boyfriend's mother. I think for tow reasons...I am also a Kate and I'm a consultant with Mary Kay cosmetics. I was so sad to learn you are in Australia! I would love to be able to purchase your cupcakes for some events that my unit does. 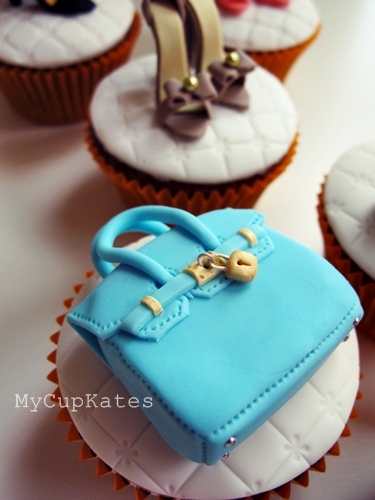 I wish you the best and than you for making such beautiful cupcakes! 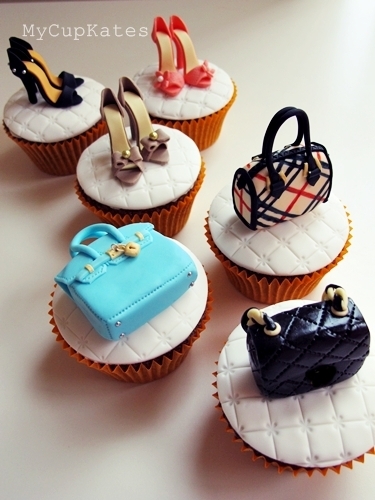 how much are these cupcakes? Looking exactly like this. Do you ship to Canonsburg PA ? And do you have a minimum order? If so how fresh will they be ?